The team of highly experienced handymen in Streatham provides a wide range of property maintenance services at very competitive prices. We have all the right tools to face even the hardest home improvement challenges. What is more, you'll be happy to learn that our extraordinary handyman services come at very competitive prices. Whenever you need professional assistance, don't hesitate to contact us! Our customers are fully aware on how much they spend. We do not have any hidden fees. Local Handymen Enjoy services from a handyman Streatham who knows the area well. All The Right Tools The handy team comes fully-equipped with the most modern equipment. 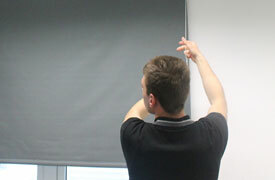 Reliable Handymen Every handyman Streatham is background - vetted & carry ID. Competitive Prices Our rates are reasonable bearing in mind the quality of our services. 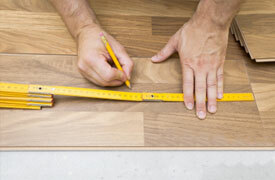 We fit & lay a wide variety of flooring types with expertise. 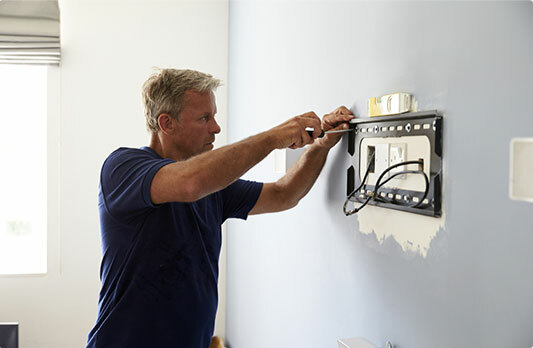 No matter how odd a task may seem, from hanging pictures to TV mounting and changing light bulbs. 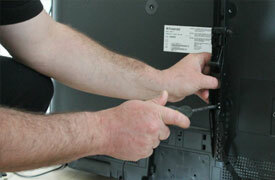 By choosing us, you can be sure your TV will be safely mounted to the wall. 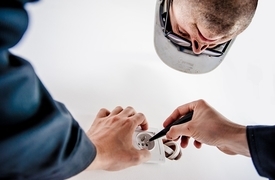 No matter what exactly is wrong with your electrical system, simply give us a call, we can fix any fault for you.